Currently? 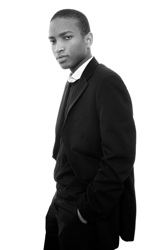 "I work full-time in investment banking (asset management)"
Why did you choose Queen Mary? "Honestly, I was not too sure when I applied, but I wanted a ‘red-brick’ institution and QM turned out to be quite good actually. Campus life is a major selling point. Another nice thing is meeting people who also work in the City and finding out that they also studied at QM." What did you gain from your time at Queen Mary? "The careers service is amazingly useful! My advice to every student is to make sure that they pop into their office at least once a month, even if just to pester them. They helped me tailor my CV, arrange mock interviews, psychometric tests, and had loads of careers advice and information regarding opportunities for summer internships and full time vacancies. Some of their services are not free but I think it is money well invested. There are so many options available on graduation and they are simply good at helping your decision-making seem less daunting. Attending lectures and socialising at Uni are great but it's always good to keep an eye on the ball i.e. a career that you really want on graduation. It really does pay to start planning this early. I also made some really good friends who are quite cool and who I know I'll be in touch with for life. I also miss the fun times in the halls of residence. " "I plan to take a few professional exams (CFA, IMC, and maybe the CAIA or an MBA) and to remain in this industry for at least five years. Being self-employed in an all-singing all-dancing tech start-up is another dream I still nurture." "I chose Queen Mary because it has an incredible Computer Science Department. I also like the affiliation with the University of London and I wanted to attend a campus-based university in London. My favourite place on campus is the halls of residence because they make me feel like I am living at home, but with lots and lots of friends. Queen Mary provides some of the best study facilities for students. The Library is open over the weekend so students can take advantage of that to complete their course work. Staff and lecturers are approachable, and you can discuss any academic-related problems. My course consists of a wide range of modules such as Programming, Databases, and Networking with the aim of satisfying industrial needs. That makes it more exciting. Lecturers use a variety of teaching methods and these keep us interested and encourage us to contribute during classes. College atmosphere is very friendly and I found it very easy to mix with people." "It's in the heart of East London and there’s a great atmosphere. It’s part of the University of London, which carries weight with prospective employers, and it has great facilities. There is a building completely dedicated to computing students, and it's open really late. When I first started my degree, I didn't really understand the difference between computer science and computing, and the course was more mathematics-based than I expected. I still loved it though. I started my third year not knowing much about multimedia, but by the end of the year I had found a vocation! For my final-year project, I developed software that teaches people British Sign Language (BSL). I contacted an established company who assisted me in filming the BSL videos and they also provided me with a large number of test subjects. They were extremely impressed with what I had achieved and offered me a contract to commercialise the product and future publications! It has been a real roller coaster of excitement and hard work, but in the end it has been an amazing experience. I now love designing and producing any kind of multimedia product, be it through programming or with the use of applications such as Macromedia Director." Read more on Lila's project in issue 14 of Quad. Read Lila's interview with the Guardian. I decided to go to Queen Mary, as it is part of the University of London and a UCAS student advisor recommended it to me. Having taken a closer look at the campus, I really liked its close proximity to the centre of London, the liveliness of the halls of residence and the diversity of people at the university. The Computer Science Department is a great place to study. From the staff in the student administration and system support teams, to the lecturers and professors, all are excellent at their jobs and are very helpful. The course provides a good mixture of theoretical grounding and practical expertise. It offers students a good foundation in the core principles of computer science and then the option to focus more on specific subject areas in later years. My experiences with Queen Mary lecturers and professors have been positive throughout. I found my lecturers very engaging and enthusiastic about the subjects they taught. For me, that is the most important thing, to be surrounded and taught by people that inspire you with their interest and knowledge of a subject. One of the most interesting things I have done on the course was my final year project. My project was selected by the university to be considered for a patent application and commercialisation. This involved working with my supervisor and the university’s technology transfer team to develop the patent application and start approaching companies that might be interested in licensing the technology. The Queen Mary campus offers a unique atmosphere. It’s a great mixture of a safe and relaxed space situated in an exciting area full of possibilities for day and night time activities. My favourite place is the bank of Regent’s Canal behind the student halls. There are a lot of extra-curricular activities on offer at Queen Mary. I volunteered to take part in the Peer Assisted Study Support programme as a PASS Mentor during my final year. It was a really enjoyable experience and I think the skills I learned through the PASS training programme and running PASS sessions are extremely valuable. It’s a good way to get in contact with other enthusiastic people in the department and work together with them. I hope to continue these activities at Oxford University where I am now doing a postgraduate degree. If I had to describe a typical Queen Mary student, well that might be difficult, as Queen Mary has a widely diverse student population. You meet people from all over the world, coming from very different cultural backgrounds but who are equally open minded and interested in new experiences. The friendly and welcoming atmosphere make you feel ‘at home’ from day one. I chose Queen Mary because it has an excellent national and international reputation. It is also ranked highly in the university league tables. The fact that I was offered a scholarship was icing on the cake! My course is very well-structured. You are constantly on your toes, learning one new thing after another and you get a lot of feedback in the form of coursework, projects and so on. The students also get a chance to pitch their opinions and suggestions about the functioning of the School. Emphasis is placed on innovation, creative thinking, and the application of knowledge rather than rote learning. The professors make a point of setting mentally stimulating coursework that lays the foundation for advanced topics. They are always willing to answer questions, whether in lectures or in their offices. Another thing that I really like is that there is a lot of interaction between undergraduate, postgraduate and doctoral students which is very inspiring and motivating. I have been at Queen Mary for only a year so far but I can say that this has been the best year of my life, both academically and personality-wise. I am much more confident and sure about myself. I feel motivated and charged to face my second year and hope to make the most of my time here. Being in the East End is great. It gives good access to the City, which has every activity you could think of. Though you don’t even have to go into the City to do a lot of things as everything is on campus. There’s Mile End Park next to the campus that has a lot of facilities including a leisure centre and climbing wall, plenty of pubs and there are a huge number of courses and events at The Idea Store. The college has a wonderful, friendly atmosphere and makes a great place to laze around on a sunny afternoon! The support and enthusiasm for the subject from all the staff in the Computer Science Department make it a really great place to learn. There are some excellent research projects in the Department - most of them seem to have a fun side to them, which is great. The study facilities are endless and I can always find a place to work. My favourite place on campus is the Informatics Teaching Laboratory - our dedicated Computer Science computer laboratory. Living in halls of residence in my first year was brilliant! I met loads of great people and had a really fun time. I dance the Lindy Hop (a type of swing dance): I’m totally addicted! I’m also president of the Gaming Society, which I started with some friends towards the end of our second year. The most interesting thing I’ve done on my course is probably what I’m doing now for my MSci group project. I’m working with Sodarace (www.sodarace.net) and hopefully I’ll have created some exciting new things for it by the time my project has finished. It also encompasses showing the Sodarace application to schools and other interested groups, which gives me a chance to get out from behind my computer. Software Engineering jobs are booming generally, but they need someone like me with the usability skills I learnt on the course. I’m from India where I did a 4 year Batchelor of Engineering Computer Science course before working for a year as a software engineer. The QMUL modules fitted the skills I was interested in advancing - specifically Interactive Systems Design and Entrepreneurship. They are really useful for when I go back to work. When I return home I now think I will get a job in usability. There is a really important niche that few people have the skills for. I can now fill that niche! Guliman, Jayashree and LiShiang were on the winning team for coursework project as part of the Interactive Systems Design Course. Their design and a longer interview with them can be found on the pages of cs4fn. Being an international student from Mauritius, I couldn’t come to visit the university before accepting my offer. 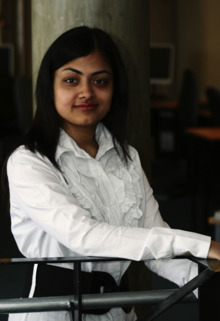 I chose Queen Mary mainly because of the degree programme – it had the right combination of computer science and business modules that I wanted together with on-campus accommodation. It is very convenient to live a few minutes from lectures. Queen Mary is diverse – there are people from all over the world. It’s just a very enriching experience. The best thing about a joint programme like the BSc Computer Science with Business Management and Accounting is that it gives you the opportunity of being involved in two departments. It’s challenging but very interesting. Another great thing about it is that you get to meet loads of different people. Our lecturers are very involved in their own research groups and it’s very interesting to hear them talk about their pioneering research. There are plenty of spaces at Queen Mary for socialising and there is no lack of places to relax between lectures. Our campus has several eating outlets and coffee shops. The new health and fitness centre provides another way to spend time. For some place a little quieter, Regent’s Canal runs through the campus and it’s a good place to sit on a nice, warm day. 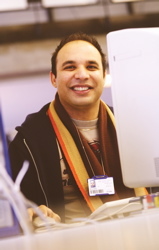 The library provides a wide range of resources necessary for doing well on your degree programme, including books, journals, computers and printers. The 24/7 opening hours during revision and exam time is a blessing. The ‘Level One’ study area, which is appropriate for group study and teamwork, provides a very relaxed environment. Like most computer science students, my favourite place on campus is the Informatics Teaching Laboratory (ITL). It is a building exclusively for the School’s students and it has the computers and software needed for our work. Whether an undergraduate or a master’s student, it’s the place where we spend most of our days. In fact, the first thing I do when I get to campus is go to the ITL to see who else is around. Last academic year I was involved in PASS (Peer Assisted Study Support) in the department. This is a voluntary scheme aimed at helping first year students to settle in university life and also to cope with the challenges involved with studies in computer science. I have really enjoyed this experience and feel that it’s worthwhile to help first year students. Also, as the scheme is run in other departments too the inter-departmental meetings allowed me to meet other people. The training programme provided useful careers advice on CV building, presentations and teamwork. The most interesting – and most difficult – part of my degree has been the software engineering project in my second year. It involved a group project to build two card games. The project lasted for the year and was aimed at simulating a real work environment with deadlines and deliverables. Looking back now, I can say it was a very enriching experience as it taught me things I that will be really useful in my future career.